I have had a fascination about Social Search for a long time. There is a gap in how people search for content online, and content I usually search for is not centralized. Lets take an example: If you one day wanted to search for a GIF about monsters - you'd probably go to Giphy, but if you didn't know Giphy you'd end up going to Google, which is pretty much useless with GIFs. Now if you want memes - you'd probably go to 9gag or Reddit, but why isn't there a centralized way to search content that usually ends up on some social network? The idea is a little confusing - it's the premise that we have a lot of content which is ranked, but the content exists on different websites, and one would usually go to different websites to get different information. For example, Reddit for memes and GIFs and maybe news, Giphy for GIFS, 9gag for memes, Github for code, etc. We have to also understand that this information is already processed, ranked, and all stored on these websites. Now if we say that the content we are searching could be found on 2 of these sites, say we are searching for a "monster tree" GIF and it's the best on Tumblr and Giphy, we'd have to search both of these sites and find the best option. This is a very narrow use case, but what we are doing is going through each of these sites and trying to find the best content. I'm simply trying to tell you that we have an endless amount of data for each image that exists online (which is in social circulation). There is data on how many people commented on it, how many people upvoted it, how many people hate it, how many times it's been shared on Twitter (Bitly), how many people like it, but all this data is across multiple platforms, which makes it hard to search. The problem I am interested in is showing the best ranked information for the search on one page for every category, and any search parameter by searching the social networks that are relevant to that category. 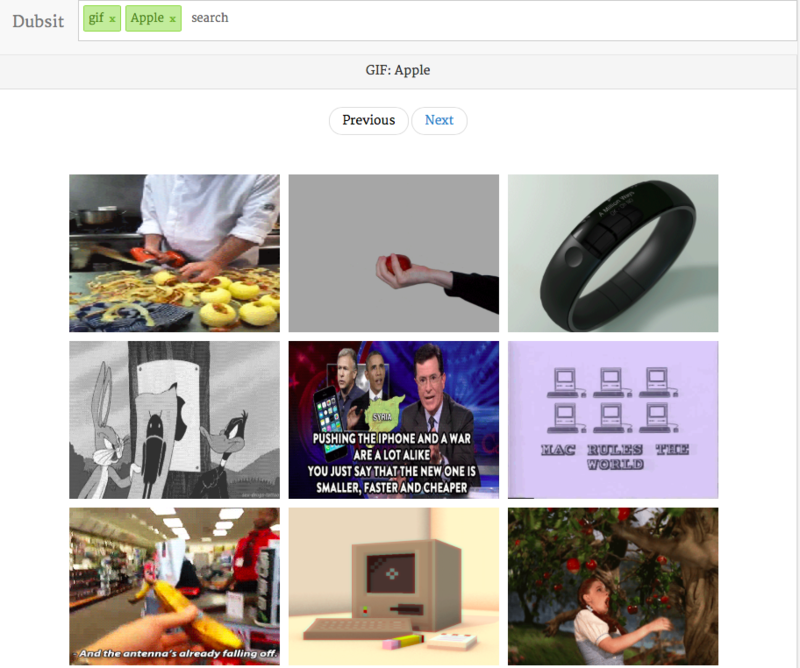 If you search GIFs then it will search Reddit, Giphy, Tumblr, and any other site relevant to that idea. 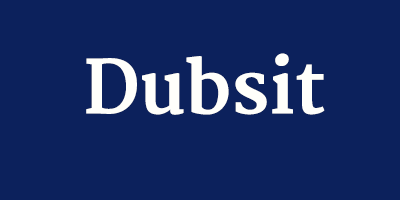 That's why I created a prototype called Dubsit. Below are some screenshots of it working. It's a blank page in the beginning (instructions will be there & latest searches, etc), and you add content using tags. I made it tag based because I believe people should be able to search for multiple things together as it increases efficiency. So you use the tags "gif", "Apple", "news", "Obama", and get all that information on one page. I'm still prototyping and understanding this concept, but I believe it is powerful as it takes how each of the communities ranks the content, and normalizes the rank and shows the best content the user would need from each of those websites. You're taking the best information from each network, normalizing its values according to some data, and then displaying the best information to the user. We live in an era where most of the best content is instantly voted upon and in an era where APIs are available with endless data. I feel like because the data is becoming more and more open for people to use we should take this opportunity and make it all centralized and easy to search.